אתר מדליק האתר הכי קולל ברשת!, גיטרות מדליקות. 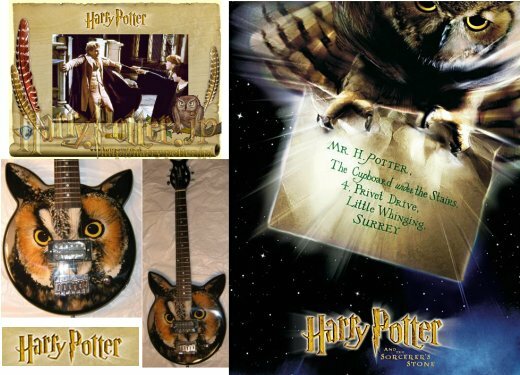 pour votre prochain clip sur le th?me HARRY POTTER ! pour votre prochain clip sur le th?me ZOO ! pour votre prochain clip sur le th?me SAVE THE WORLD ! 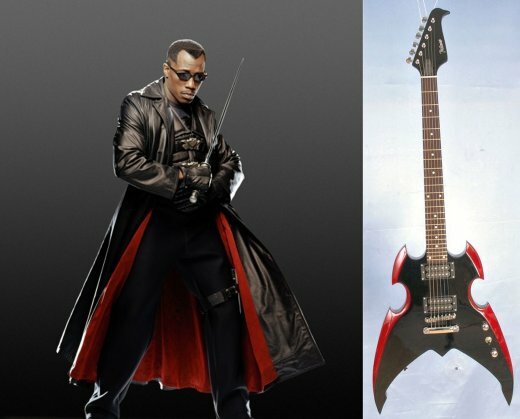 visible dans notre vitrine du guitar's cafe de Lausanne, avec cette guitare TERMINATOR ATTAK style ? manche lumineux led, vous aurez le gros son garanti ! 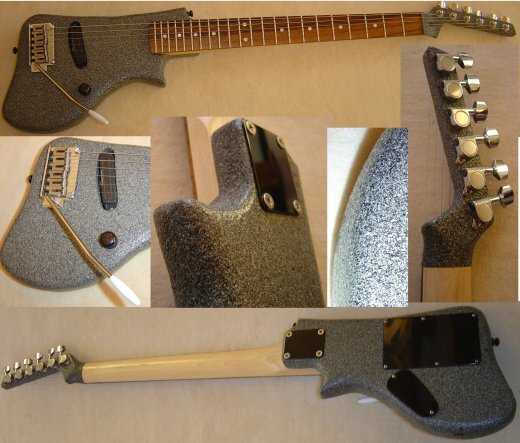 Aluminum Chainsaw Guitar with LEDs and KickStand! 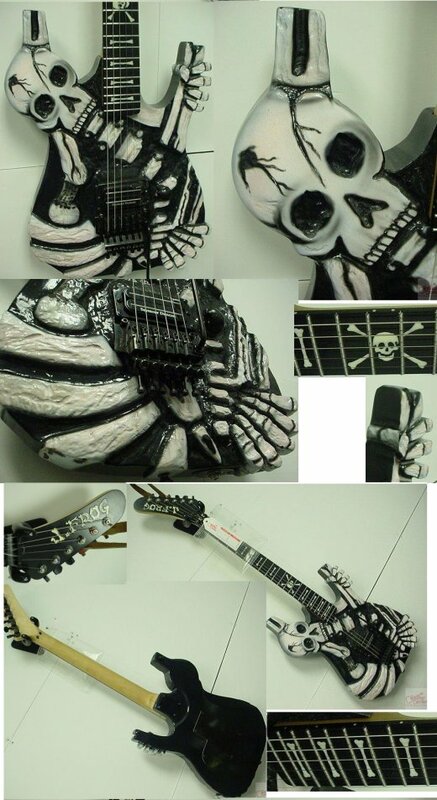 Chainsaw 'Evy Metal Aluminum Guitar Wow! Built like a Rolls Royce for the Heavy Metalist. 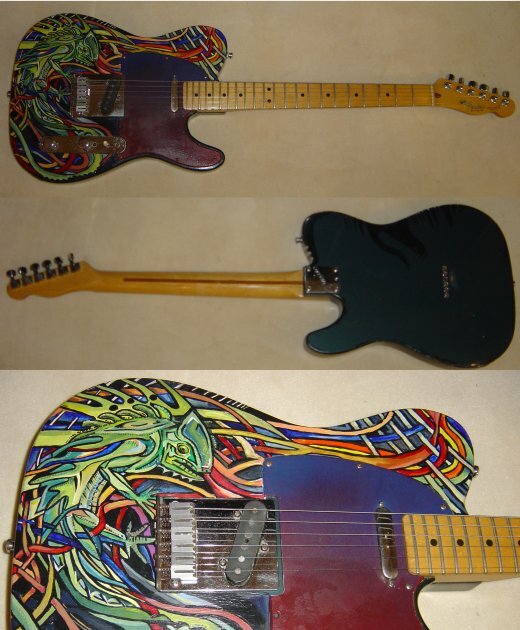 In my opinion it is Much wilder than a fender telecaster or Gibson Les Paul Boy is this Different and High Quality! 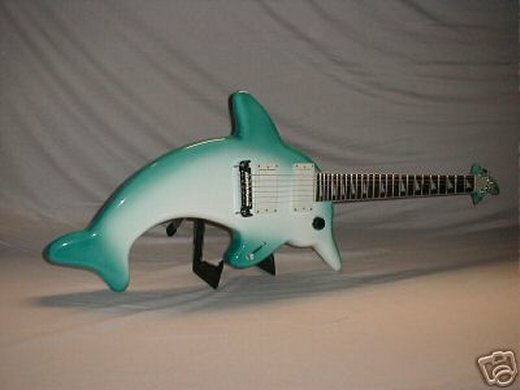 Look at that Hardware and quality tuners, Nice Jumbo Frets! Led Lights go up and down the Fretboard. Very hard to Photograph but it really looks great on Stage! TERMINATOR ATTAK style le son qui tue ! 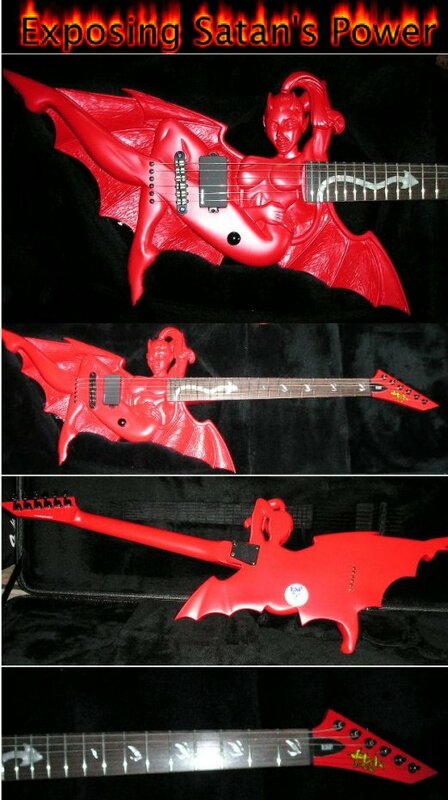 La possession du d?mon, DEVIL une super guitare neuve de ESP en ?dition limit?e gros son garanti, livr?e dans son coffre. TERMINATOR gros son POWER FORCE !!! avec le manche qui s'allume led. 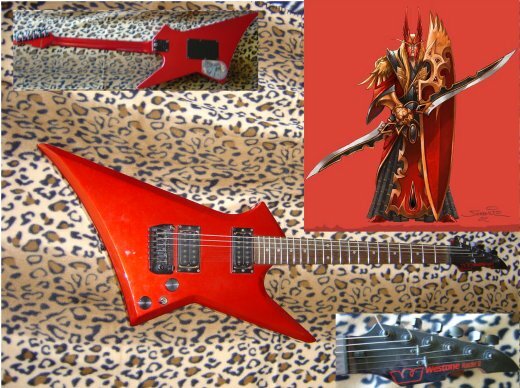 Si tu veux que tes fans ne t'oublies jamais alors vas sur sc?ne avec cette guitare et la gloire sera ? toi !!! viens l'essayer au guitar's cafe rue de Bourg 11 ? Lausanne. 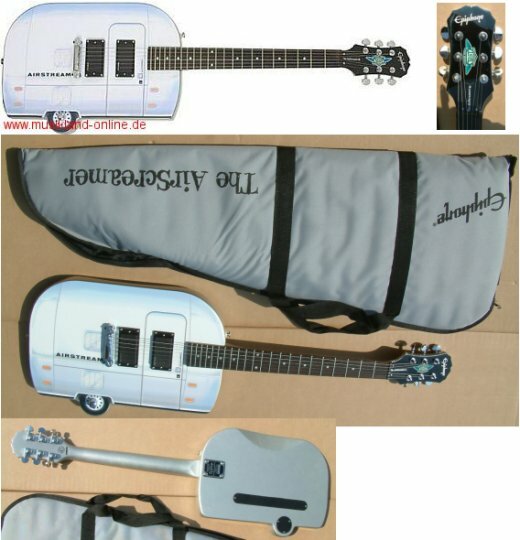 import usa unique, Aluminum Guitar Wow! Built like a Rolls Royce for the Heavy Metalist. 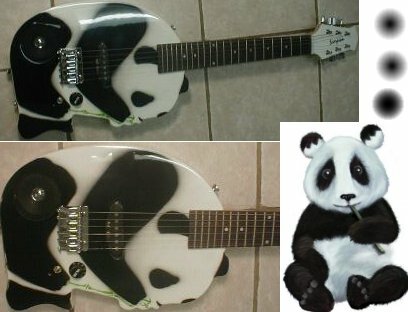 In my opinion it is Much wilder than a fender telecaster or Gibson Les Paul Boy is this Different and High Quality! 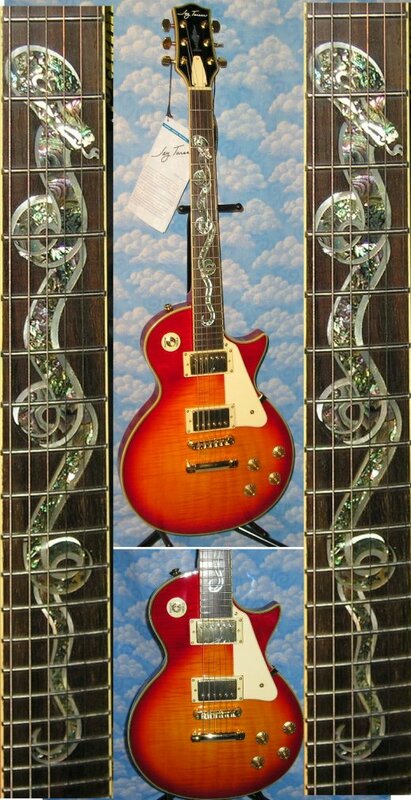 Look at that Hardware Nice Vintage Humbucker Pickup and Schaller Bridge, quality tuners. article num?ro terminator908457845/0001 le prix est 1490 euros Great for Slide or Stand-up light playwear! TERMINATOR gros son POWER FORCE !!! 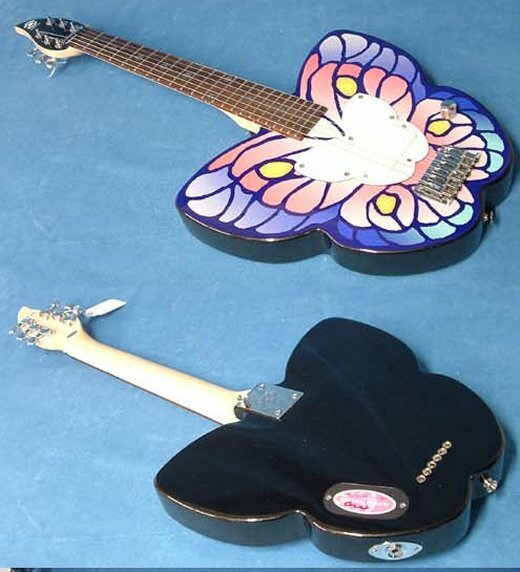 BO DIDLEY STYLE, cette belle vintage guitare a ?t? 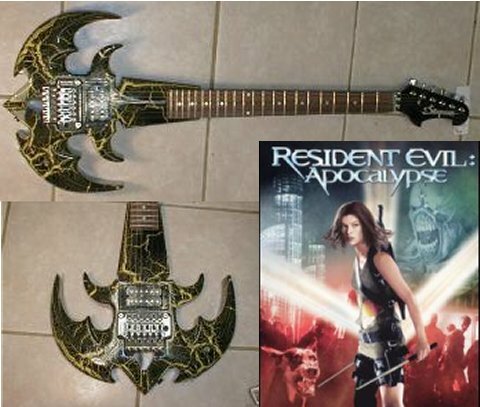 r?alis?e par un luthier pro JOAN OROZCO voire ?tiquette int?rieure, c’est une vraie guitare avec un son caract?ristique et mont? d’un micro schaller vintage, avec ses dorures elle a un super look. 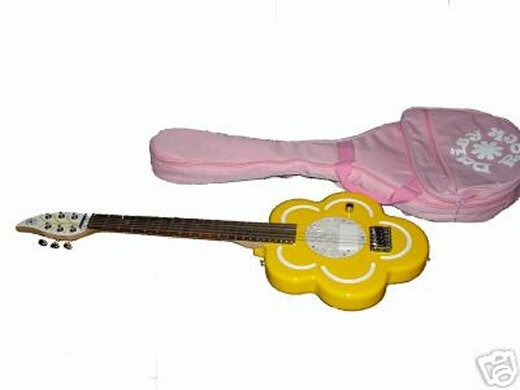 H?FNER SHORTY 1975 – 1980 ( guitare tr?s courte de voyage 83 centim?tres ) incluant un double micro humbucker di marzio pour un son super puissant et un bon sustain articles num?ro 1235074.053 le prix est de 390 euros. 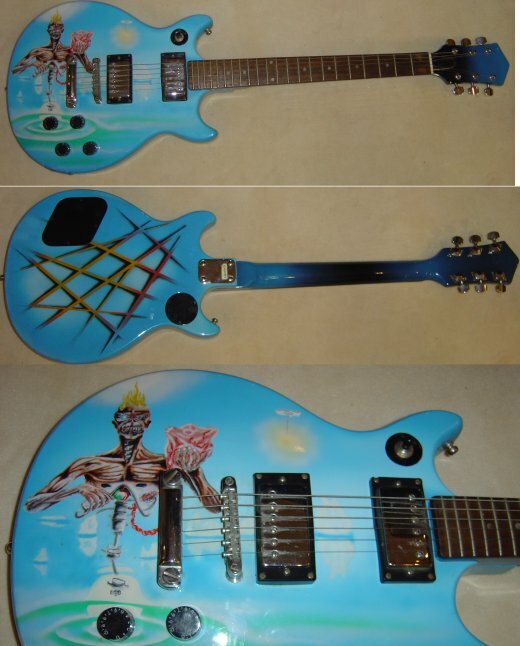 ACID ROCK pi?ce unique de luthier. 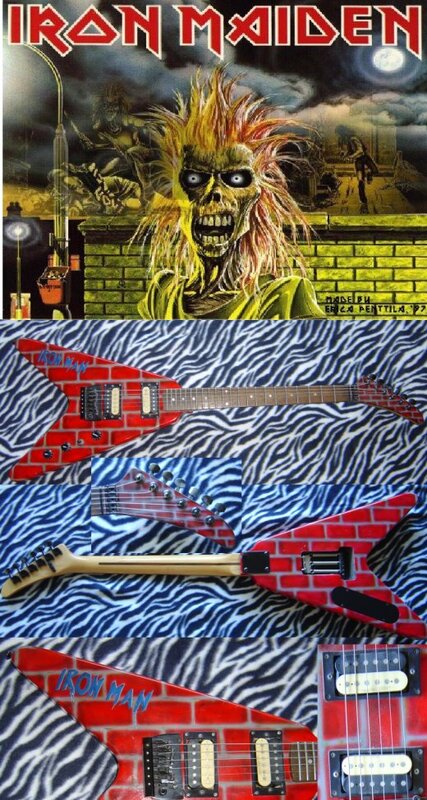 IRON MAIDEN guitare a?rographi?e " seven son of seven son "
tank american showster guitar avec bonchon de r?servoir de harley davidson. 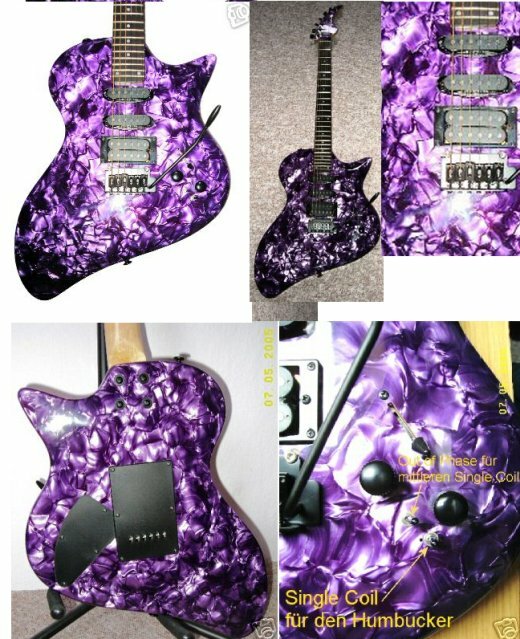 Edwards SUGIZO Model."ES-100PR?" 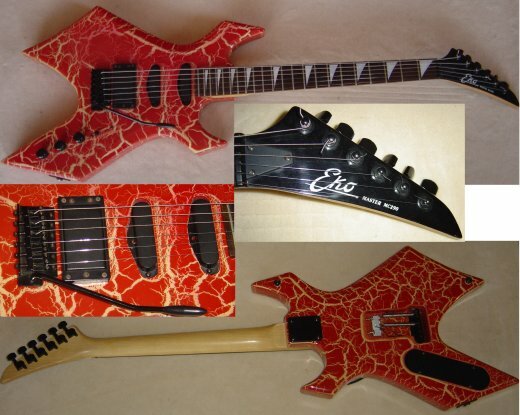 The Manufacture Age of this guitar: Made in ESP EDWARDS 1999-2002. *Body:Solid ALDER. *Neck on Finger Board :Straight Maple on Rosewood. 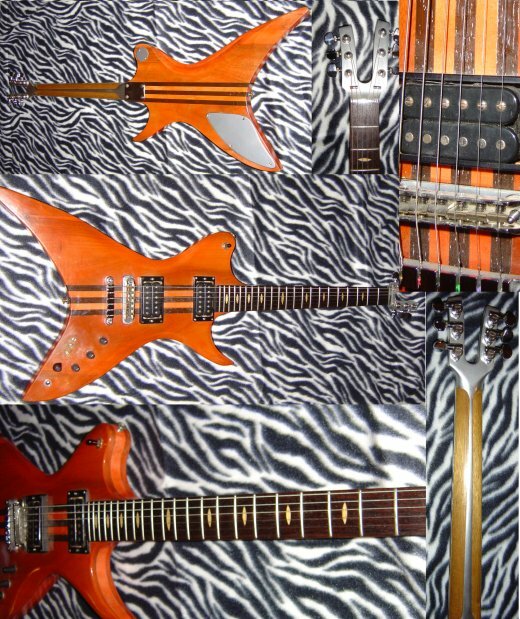 *Fret and neck Condition:8.5/10 point Straight *Machine Head(peg):GOTOH Grover Style. 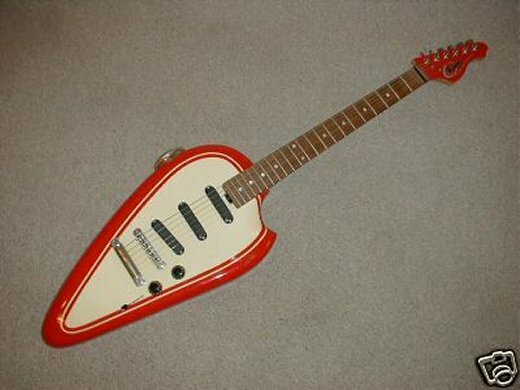 *Pickups:EDWARDS Original. 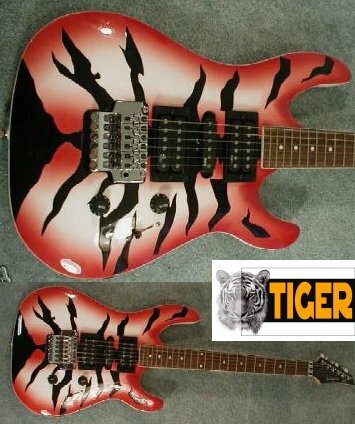 *Control:1Volume 5Way sw. *BRIDGE:ORIGINAL EDWARDS TRS-101 by "Floyd Rose". *Weight:3.4kg About the Damage and Body Condition:General condition is 8.0/10. Damage and Body Condition: As well as assorted minor damage, the body top has a few noticeable chips on the upper horn (see photo), a couple of bumps to the elbow, and a ding above the control knob (about 1/4" long). There is a long, narrow chip on the tail where top meets side (about 3/4" long). There are a number of small chips to the tip of the lower horn. The side body has a lot of minor damage such as dings, scratches, and chips, mostly where side meets back. The back also has some minor damage, including a small chip next to the back cover and one to the back of the upper horn. There are a few very minor dings on the grip. There is some wear to the paint at the edges of the headtop. 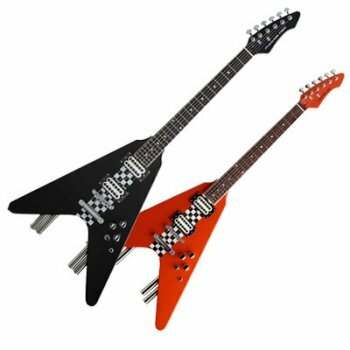 IRON MAIDEN " THE IRON MAN GUITAR "
un look super pour cette dragster aux 4 pots d'?chapement apparent, cette guitare gforce de stagg a de bonnes qualit?s pour un prix tr?s accessible de 216 euros + port 35 euros ou net ? notre magasin. Super Dragster avec 4 pots d'?chapement ! FERNANDES BURNY BUCK-TICK BT-120MM. 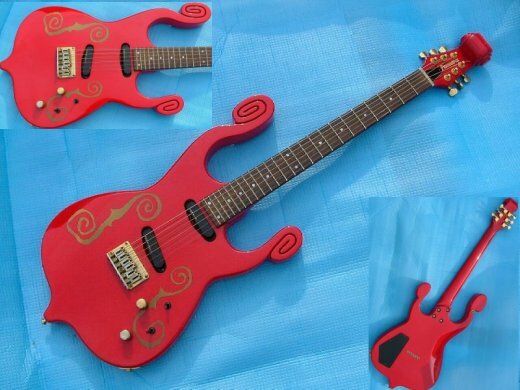 The Manufacture Age of this guitar: Made in JAPAN 2000s. *Body:Solid Alder 45mm. *Neck:Straight/Maple Neck. *Finger Board:Rosewood 350R. 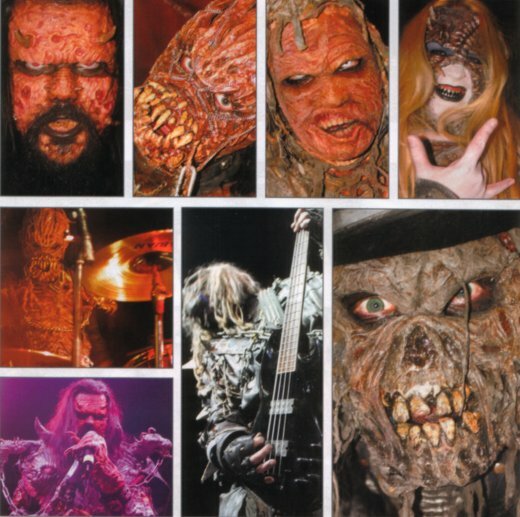 *Fret and neck Condition:9.0+/10 point Straight *Machine Head(peg):Grover Style. 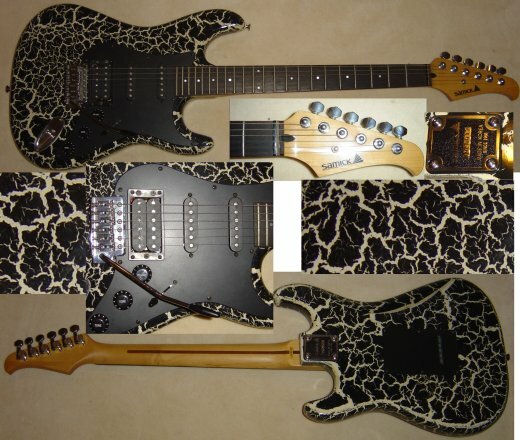 *Pickups:FGI-S×2. 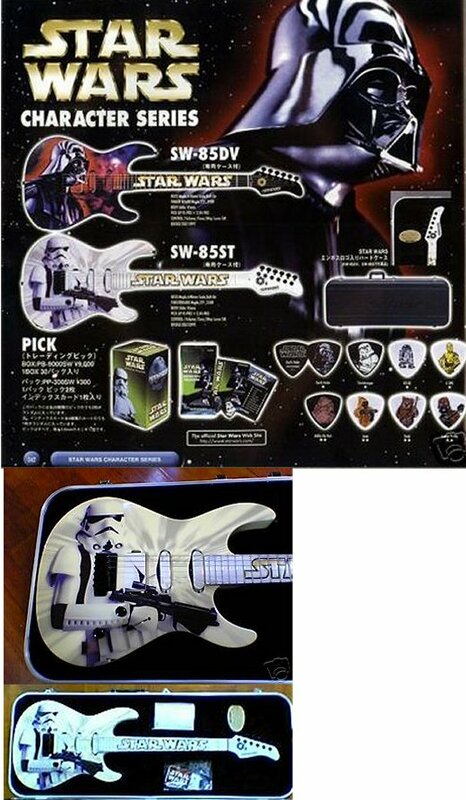 *Control:1Vol 1Tone 3Way Mini-SW Direct ON-OFF SW. *Scale:628mm Scale 24Fret. *Neck Joint:Bolt-On. *Bridge:GTC-101. *Weight:4.0kg *Color:RED. 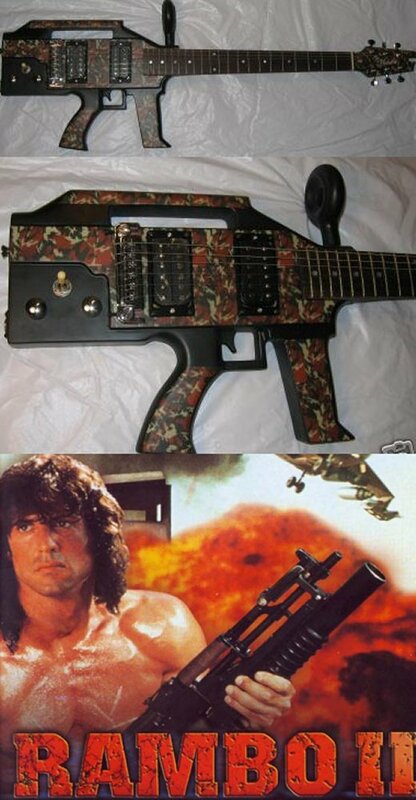 DEAD, guitar avec un seymour duncan humbucker cette guitare a ?t? sculpt?e. avec quelques id?es de d?coration pour le propri?taire.